The holidays are nearly here! 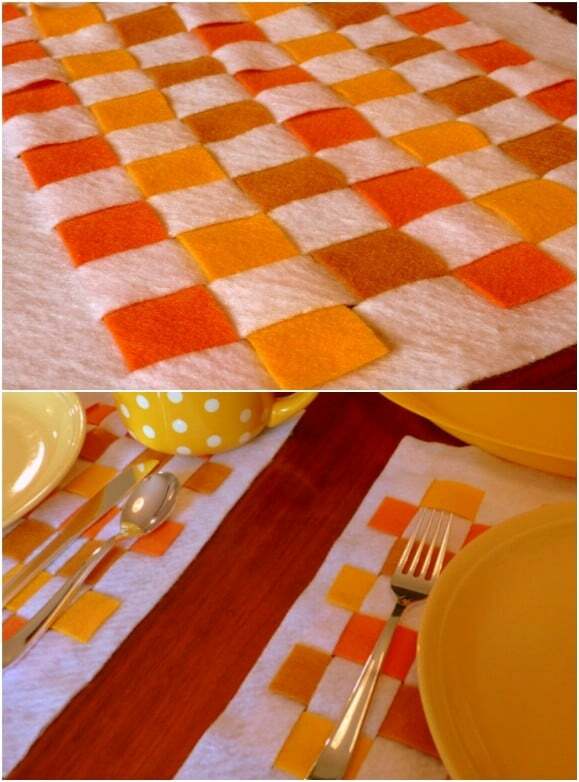 Have you thought about how you are going to dress up your Thanksgiving dinner table? If not, I have a great collection of DIY projects for you. 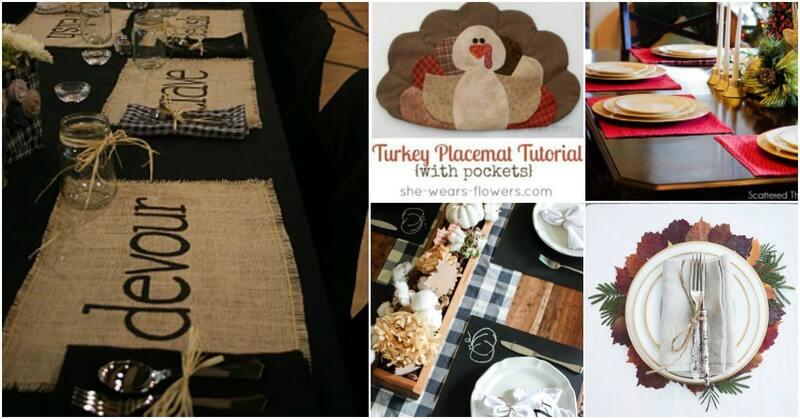 I’ve found 15 easy and adorable DIY Thanksgiving placemats that are sure to add beauty and charm to your dinner table. Most of these can be made in an afternoon…no matter how many you need. Some of them are very kid friendly so you can let the little ones help to make them and give yourself more time to focus on the delicious foods that you will be creating. I love this time of year for so many reasons. It’s about this time of year that I really get an itch to do some crafts, which is why I adore these placemat ideas. They’re all so quick to put together and some of them don’t even require any sewing! Imagine a beautiful cloth placement that you don’t have to sew. And if you love to sew, you will definitely want to check out these 80 sewing hacks that will make life behind that machine so much easier. I can’t wait for Thanksgiving. From the food to the crafts, this honestly is my favorite time of year. I’m like a school girl from now until January 1! I think it’s the cold air that makes me want to stay indoors and when I’m stuck inside, I always want to craft. And this is the perfect time of year for it. There are so many things to get done between now and Christmas! If you haven’t yet, be sure to take a look at these 25 gorgeous farmhouse inspired DIY Christmas decorations. They’ll turn your home into a beautiful rustic display and many of them can be used for Thanksgiving as well…they will go perfectly with your new DIY placemats! These dip dyed bamboo placemats are the perfect way to dress up your Thanksgiving dinner table, and they’re super easy to make. You can buy bamboo placemats pretty cheap online – just over a dollar each – and then you just need liquid dye and a few key supplies like paper towels. You do have to let these dry overnight so do them far enough ahead of Thanksgiving that they have plenty of time to be ready. 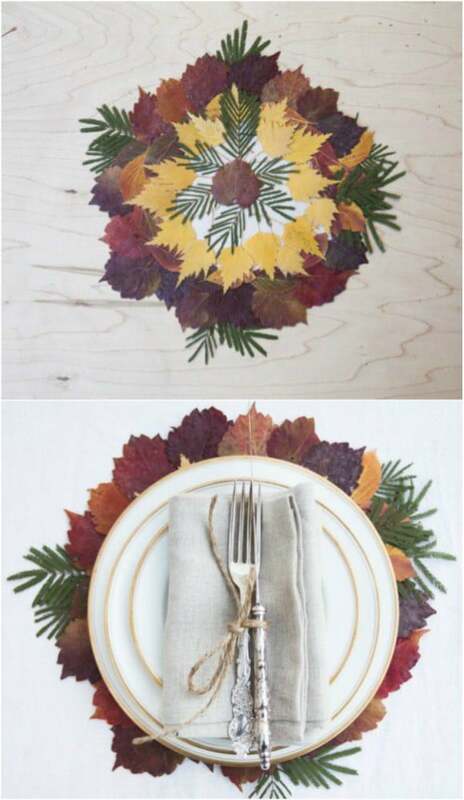 These DIY placemats use actual fall leaves and they are spectacular when they’re finished. 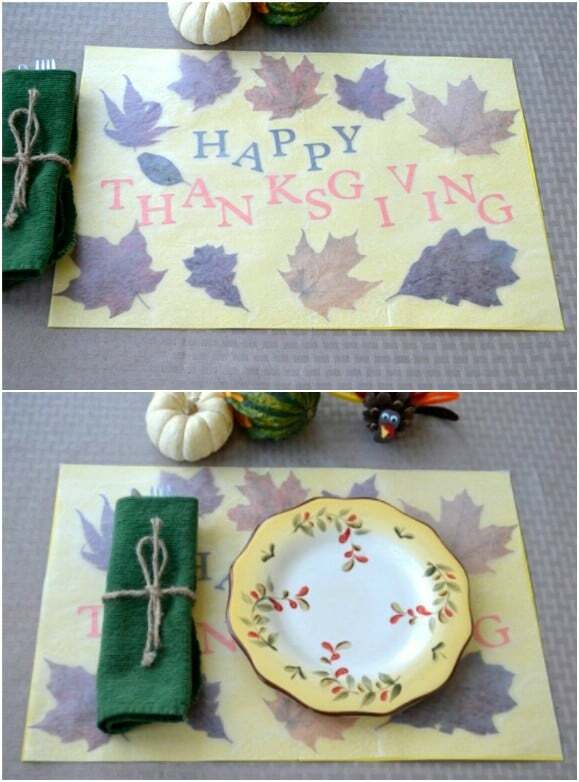 You’ll need several dried leaves for each placemat, as well as parchment rounds and a hot glue gun. Just glue the leaves to the edges of your parchment round and create a pattern as you work your way inside. These are so gorgeous and so easy to make. I love burlap projects! They give everything such a great rustic look. 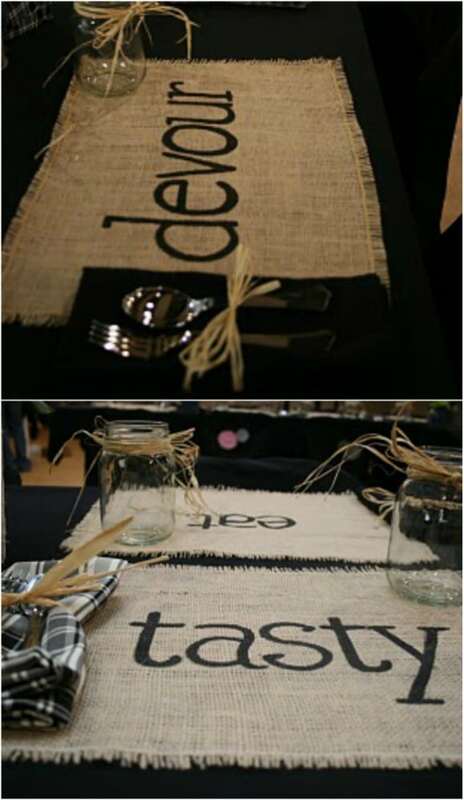 These burlap placemats are so easy to make and don’t take up too much time. Just cut your burlap into placemat sizes and then fray the edges. You can then decorate them however you want – use sharpie markers to create special messages or go all out and paint your message on. There are so many ways that you can make these special! I’m a huge fan of DIY chalkboard projects and these placemats may be among my favorites. You make these by painting a hard board panel with black paint and then adding a chalkboard top coat. Kids are going to adore using these at the Thanksgiving dinner table and they make it so easy to create place settings for all of your guests. You can also add a few decorations with sponge brushes and acrylic paints. 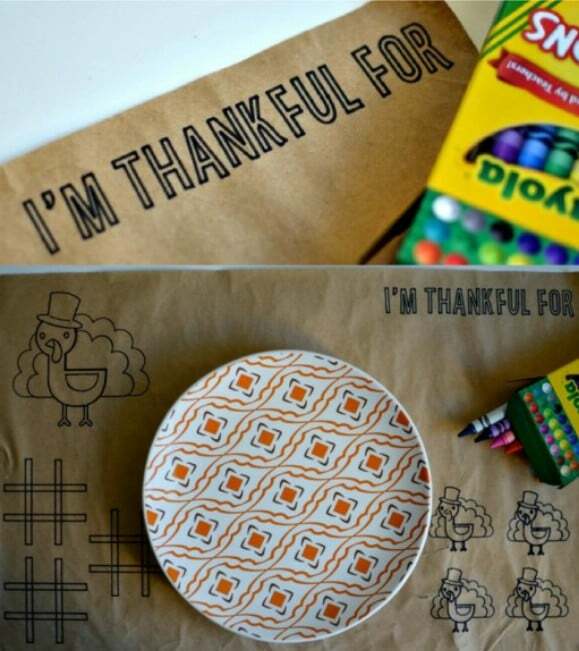 If you have several children who will be attending your Thanksgiving dinner…or adults who love to color…these printable placemats are perfect. You can print them right off at home onto any type of paper you want, although I recommend something fairly heavy like cardstock. Then just let the kids color away while the adults converse amongst themselves. You have to have a turkey on Thanksgiving, right? These little handprint turkey placemats are the most adorable turkeys ever, and your little ones can definitely help you to make them. 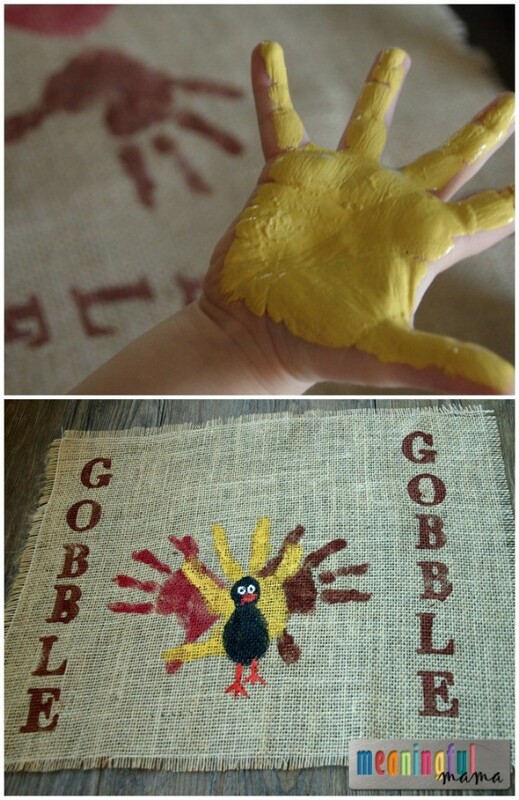 Using burlap, just dip their hands in acrylic paints and let them stamp the “feathers.” Then you just have to draw in the turkey and any message that you want to display and you’re all done. At my house, Disney and particularly Mickey Mouse are always welcome, which is why I fell in love with these DIY Mickey Mouse Thanksgiving placemats. 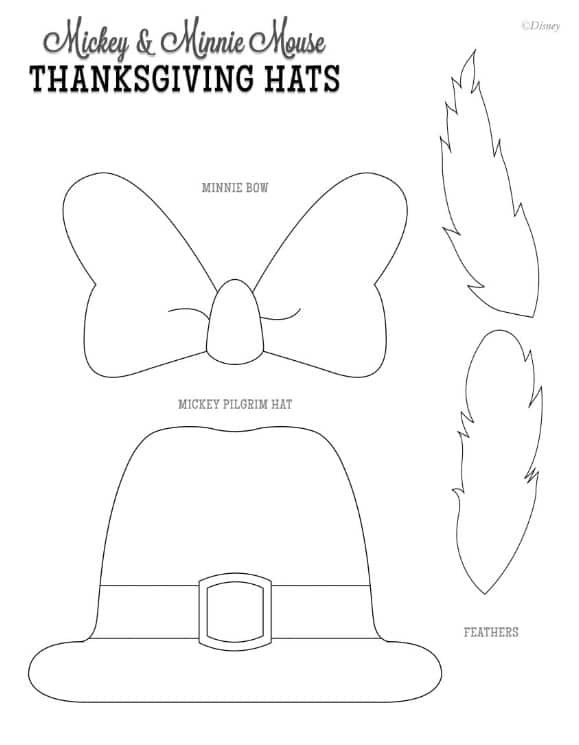 You just print out the template – there’s a Mickey Mouse pilgrim hat and a Minnie Mouse bow – and then transfer it onto a plain plastic placemat or anything really that you want to make your placemat out of. You can do this on cardstock or use burlap or any other material you want. These felt placemats are super easy to make and there is absolutely no sewing required whatsoever. I love the use of oranges and browns for Thanksgiving and you can do these in any color that you want, and even add multiple colors if you prefer. The pattern is a weave and it is really easy to do and again…there’s no sewing. You can finish one of these in an hour or less so you have plenty of time to make all you need for Thanksgiving dinner. I love this patchwork placemat! It’s got such a gorgeous vintage look to it and these are really easy to make. 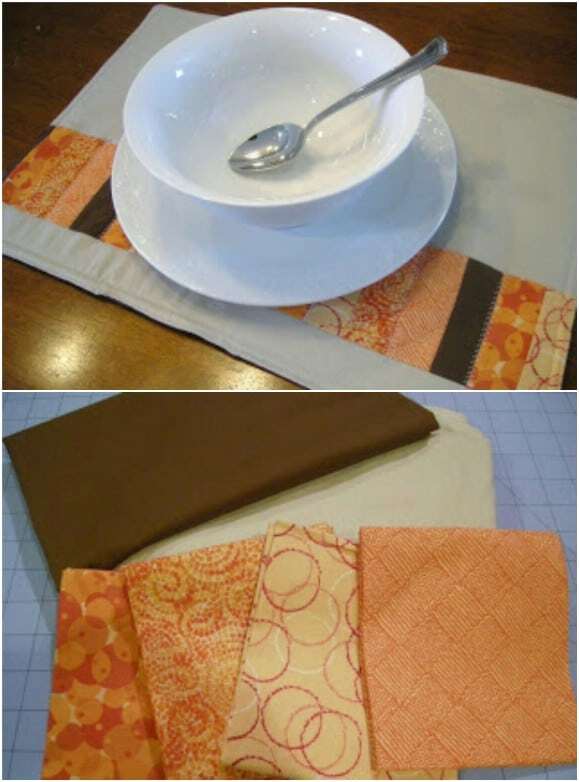 You’ll need quilting swatches or just strips of material to make these and the more designs you have, the more unique your placemats will be. These look almost like an old fashioned quilt but you don’t have to do any actual quilting. They’re gorgeous and perfect for Thanksgiving dinner…or use them all throughout fall. Pottery Barn is great for design ideas. I mean, their stuff is gorgeous but it’s a bit expensive. These Pottery Barn inspired jute placemats look just like the ones that you get from the department store, but they’re so much cheaper! You just need jute and a hot glue gun to make these and they couldn’t be easier. Just twist the jute in a circular manner and glue it down as you go along, until you get the size that you need. Let the little ones help you to make these DIY pressed leaf placemats. They’re pretty easy to do and so much fun with the kids help to make them. Just choose a selection of fall leaves and then you’ll need wax paper, an iron, dowel rods, cardstock and stencils. Kids are going to adore being able to help you dress up your Thanksgiving dinner table and these little placemats are so lovely when they’re finished. 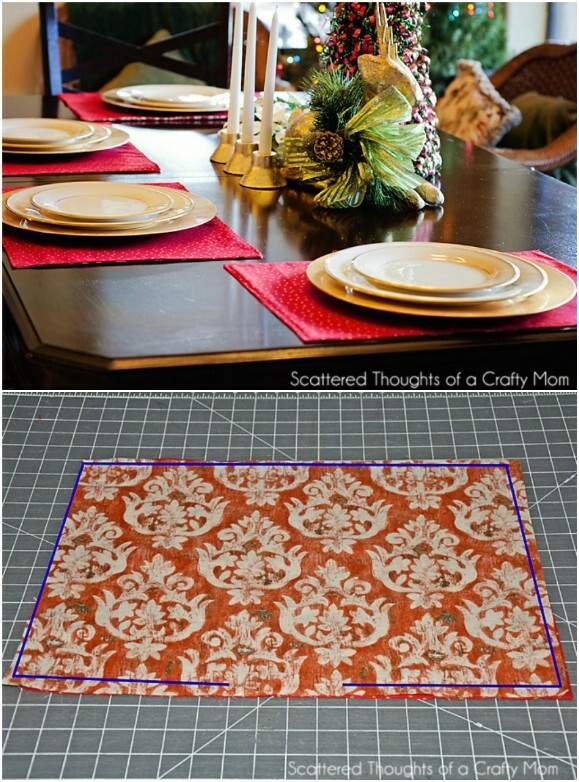 If you’re planning to make your own placemats for Thanksgiving, why not take care of your Christmas placemats at the same time? 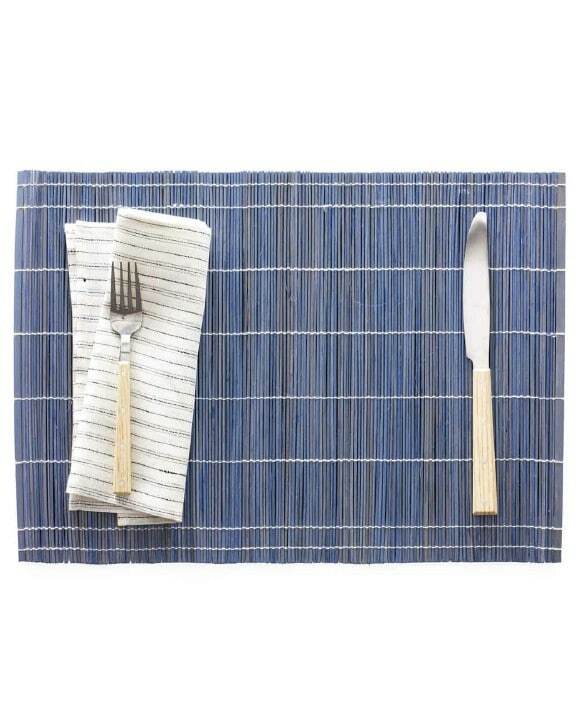 These reversible placemats are lovely on both sides! You just choose the fabric that you want for reach side and then sew them together. Seriously, how simple is that? Then, you’ll have beautiful placemats for both of your holiday meals. These little turkey placemats double as silverware holders…and the silverware fits into their feathers! These are so adorable and not at all difficult to make. 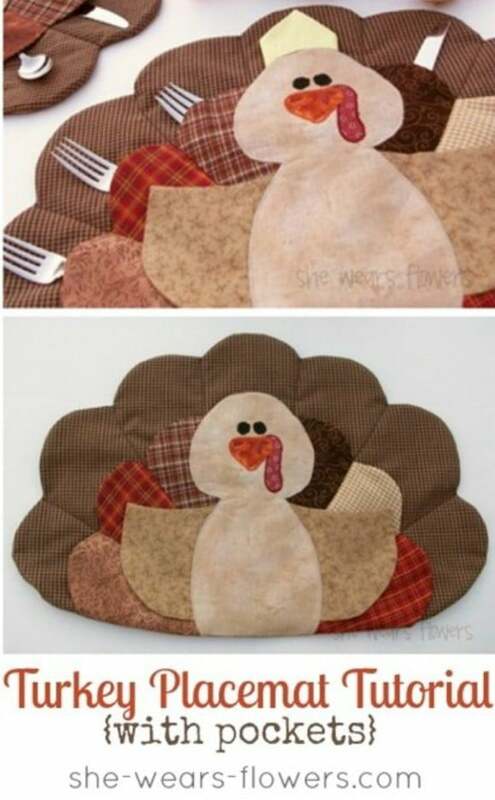 You’ll need fabric in a number of colors and designs to create the turkey and then just some time for the sewing. These are a great addition to your Thanksgiving dinner table and they are sure to spark some dinner conversation. 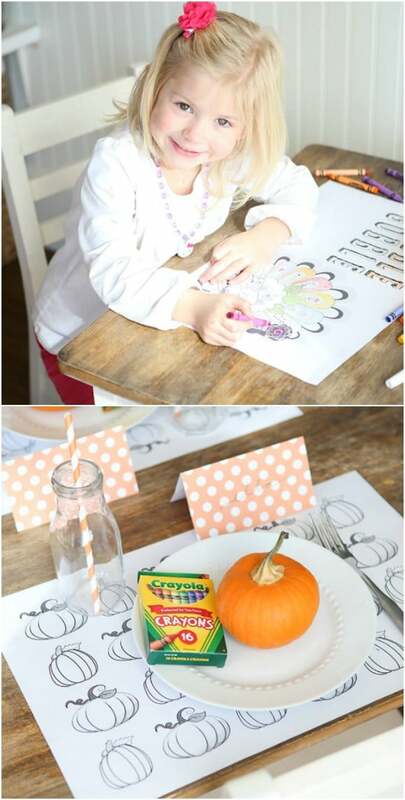 Kids will love these DIY placemats that you can make before Thanksgiving and let them decorate. You’ll need to transfer the images to craft paper or something similar. Then, the kids can get busy coloring and decorating them…which gives them something to do in the days leading up to Thanksgiving while you’re busy in the kitchen. Or, you can leave these uncolored and let the kiddos have at them while they’re waiting on Thanksgiving dinner to cook. 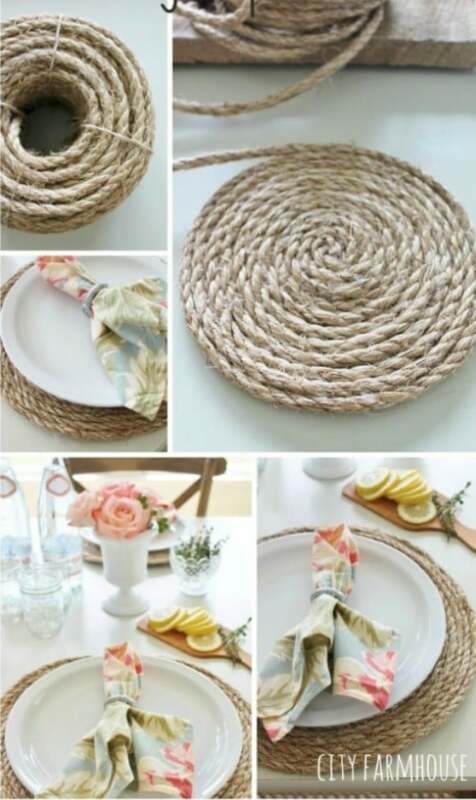 Here’s another wonderful rustic placemat idea. Turn ordinary burlap into these amazing messages of giving thanks. 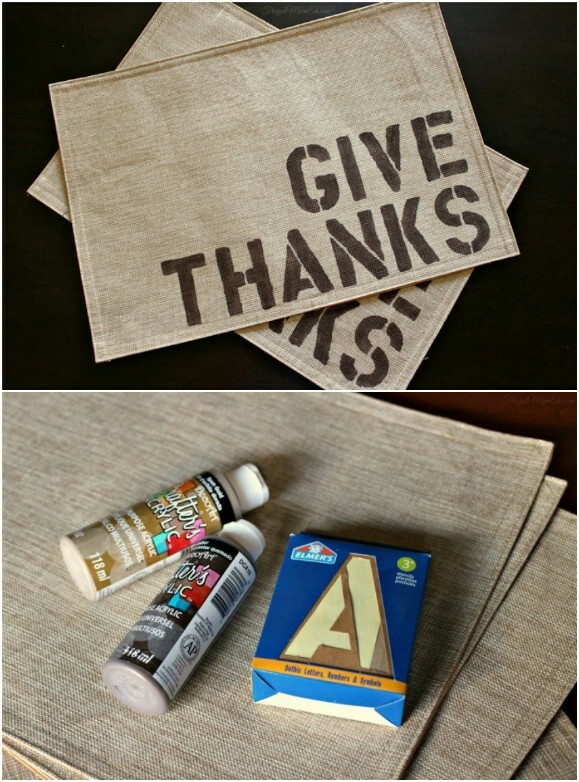 Just use plain burlap placemats…or make them yourself…and then use acrylic paints and stencils to add your message of thanks. These are gorgeous when they are finished and give such a wonderful rustic look to your dinner table. how can i purchase in bulk to India? how can i contact on mail?